A cosplay tutorial site which not only feature tutorials, but experiments on prop as well as costume making. 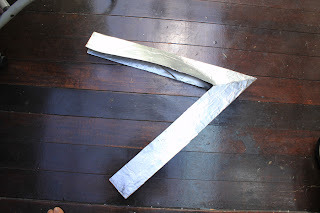 Today we shall be learning the simple method of making a large spear head out of foam board. I won't be teaching how to make the staff though cause honestly its just a long straight stick. Haha. Today's reference is Kyoko Sakura's Spear from Puella Magi Madoka. This site has awesome reference of said spear and the ''lovely' expressions of Kyoko. X3 Of course official references are the best like this and this. Good close up of head here. Have as many reliable ones as you can get. 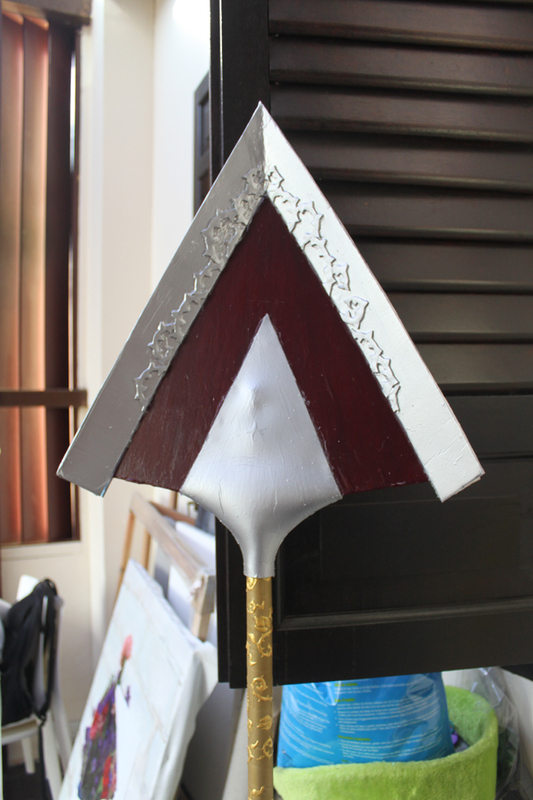 DO NOTE that my version has extra decoration because I am in a group that is enhancing the Puella design. 10. Mod Podge, an awesome sealer and glue. I am using outdoor mod podge from Art Friend. A bottle is about SGD 6. 1. 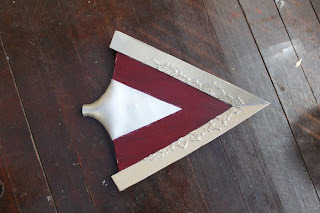 We'll begin with the red part of the spear head. It will be the base structure that all the other bits will sit on. 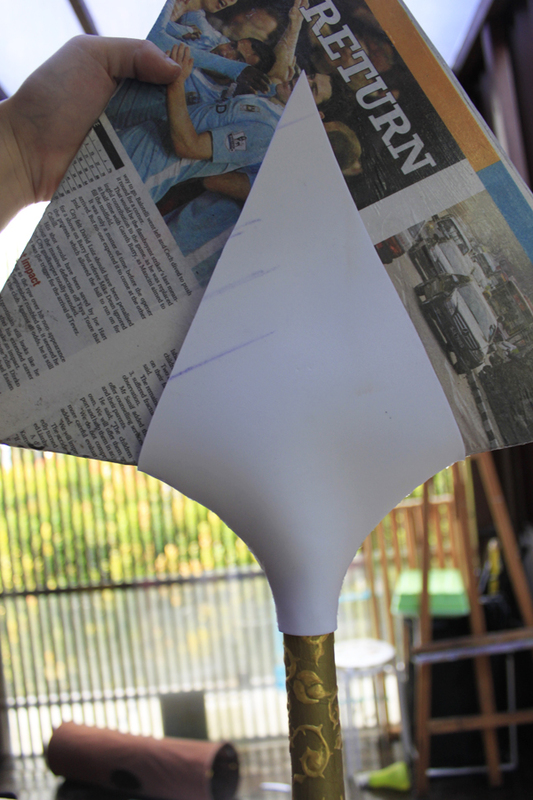 Draw out the basic pattern of the red area and add on like 6 cm to the edges so we have space to stick to other parts on. 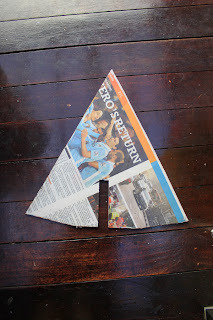 Cut out the piece and cover in newspaper and mod podge. Leave to dry. 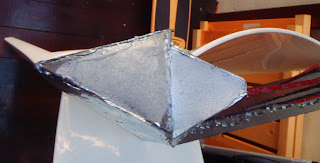 Now craft foam is soft, so just get your glue gun and join up the lower sides. Cover in a few layers of mod podge and leave to dry. 3. 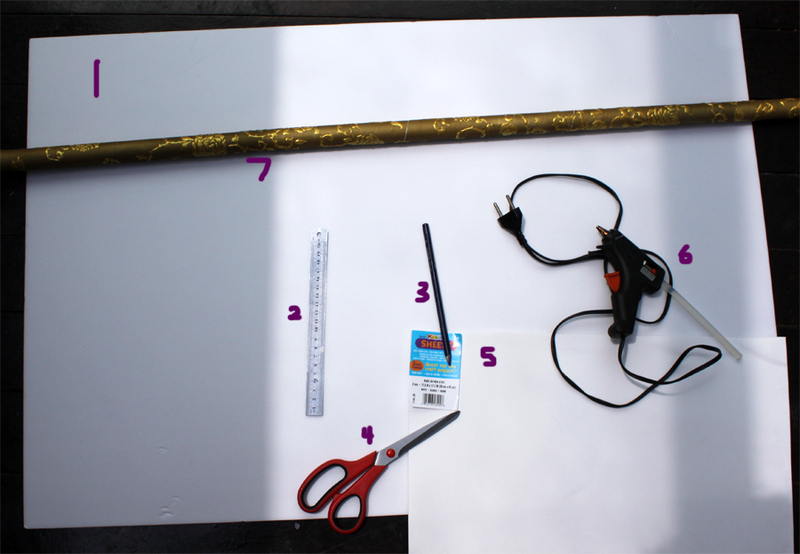 Get the foam board and draw out 4 rectangles about 8 cm (can vary to your base size) tall and as wide as the edge of your spear + 10cm. 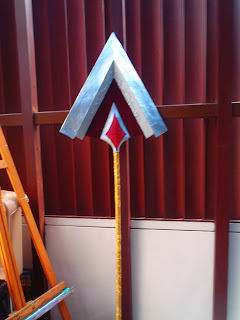 This will be the part of the spear that holds the blade to the base. 4. After the base and holder have dried, arrange everything like how it should be assembled. 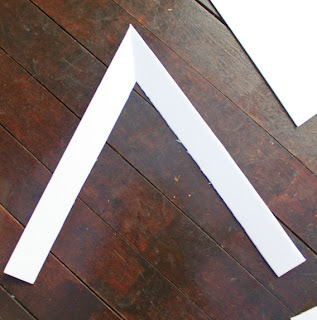 You will see that the rectangles will need to be slanted at one end so that they can connect with each other and make a 'V' shape. Mark out where the points are and cut out the slants. Remember to hold them slanted so that the other edge is kind floating. Reassemble to check. If all is good, glue the newly cut slanted edges of the rectangles together. If it is all good, cover the two 'V's. one for each side, in newspaper and mod podge and let dry. Test with the holder, connector piece made from craft foam earlier. It covers the joint. Do not glue it down yet. 6. Now colour all your pieces. 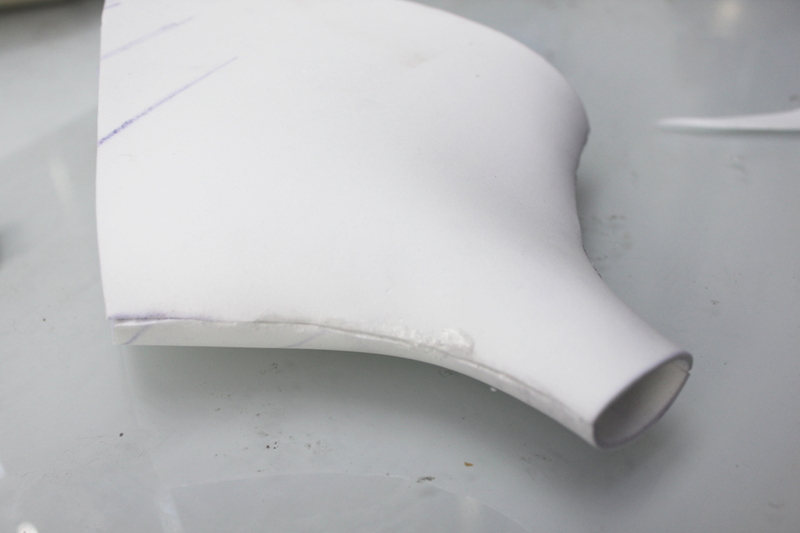 I'm doing these 3 parts first because I wanted to see how it looked before I did the blade. 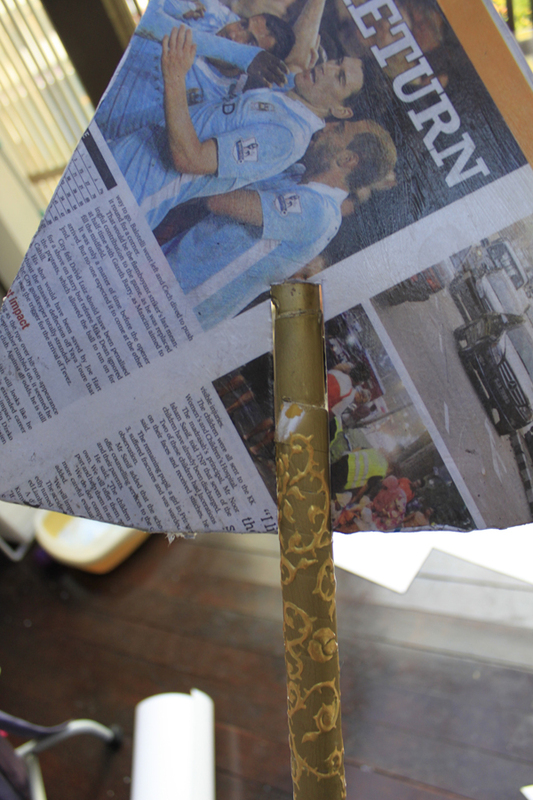 After everything has been coloured and dried, it can be glued together. 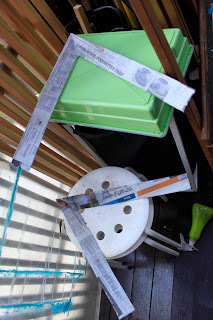 You can choose to glue down to the pole, but I didn't so that I can transport it easier. When hot gluing the pieces together, make sure to flatten the glue with scrap pieces of card or foam so that the finish is neater. 7. Now we make the blade. 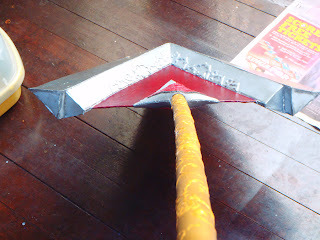 It is basically the same process as the part the blade connects to expect you join it at the other side. So the edge of the blade is joined and the connecting part is open. You will need 4 rectangles with the slanted ends. 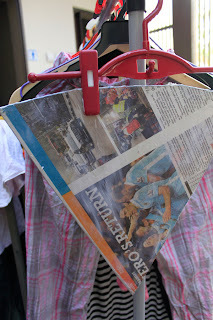 After joining, Just cover with newspaper and mod podge, let dry and colour. It looks wonky because I ran out of foam board and couldn't get any at the time. So I used art card instead. 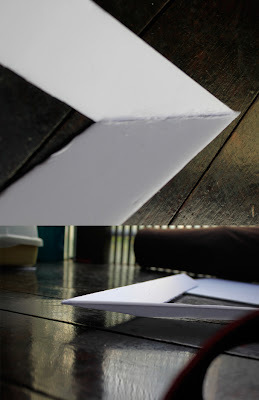 If you want to us art card its fine, but foam board has a better finish. 8. 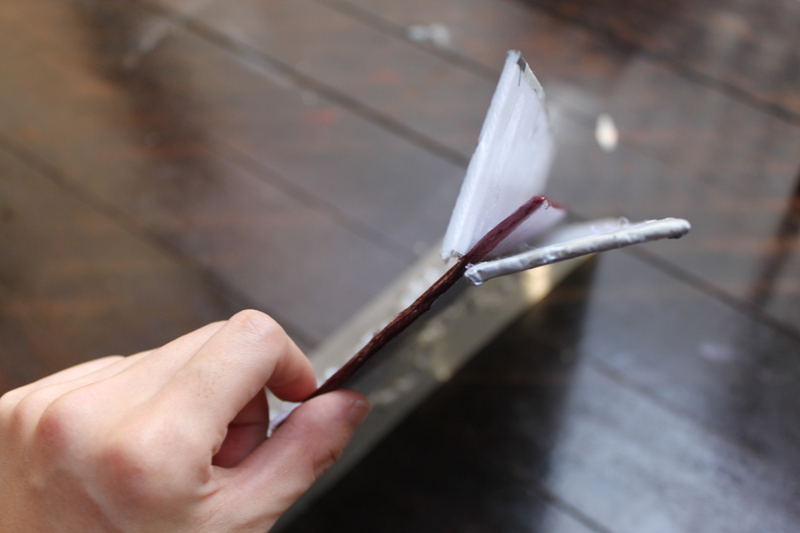 After the blade is dry, join it up with the rest of the pieces. 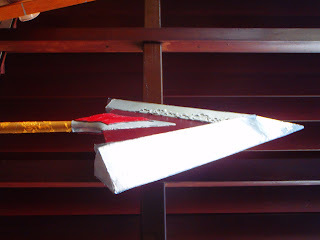 You will need to make pieces to close up the bottom of the spear head as they will still be open. 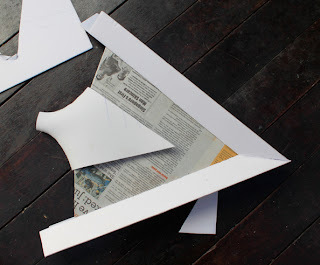 Just draw the shape onto a foam board piece, prime, and colour. Then hot glue into place. And that's it :D A bit of work, but the result is something affordable, simple, and adaptable to other props of similar nature. That's some great craftsmanship! It always impresses me how people can turn a plain foam sheet into something completely different - this time an authentic-looking metal spear tip! Is there any way you could provide the measurements you used? Because I am trying to make one myself and I just cant get them right. Images on this site are copyrighted by their owners. Picture Window theme. Theme images by dino4. Powered by Blogger.